When owning a gun it is very important to understand how important maintaining and cleaning your gun is. Whether you have chosen to own a gun for shooting/target practice, you received it as a gift from an older relative and it’s been in the family for generations, or it’s simply for self defense, one thing is true for all, cleaning your gun is important! Why is cleaning your gun so important? It’s like any other tool that you may have, it needs to be cleaned and maintained to continue working properly, not to mention safely. For example why do you think a gun has been in the family for generations and able to be passed down? Because it was properly maintained and cared for. In case you needed further reasoning we have the 4 top reasons why cleaning and maintaining your gun is of utmost importance! Longer Life- Guns that are cleaned, oiled and properly stored in a safe dry environment will last for generations. Guns that are not cared for and maintained correctly have a shelf life of years instead of generations. Learn To Lubricate- Lubricating your gun properly is very IMPORTANT! Too much lubrication can cause dirt to build up, can get into the chamber and other working parts and cause a malfunction. Malfunction and gun translate to unsafe and dangerous. Get to Know Your Gun- Cleaning and maintaining your gun will allow you to get to know how your gun actually works. It is best to be as knowledgeable as possible when it comes to owning a powerful weapon as such. So it works when needed- If you bought your gun as a self defense weapon chances are you probably want it to be in working order when you may need it the most. Proper maintenance and cleanings will ensure that your gun is ready and in proper working order for when it may just save your life! While there are undoubtedly many other reasons why cleaning and maintaining your gun is so important, these 4 reasons are probably at the top of the list. Owning a gun of any make, model, or size is a huge responsibility and should not be taken with a grain of salt. You are in charge of a very powerful tool that can inflict a lot of damage. Being properly educated on how it works as well as proper care and maintenance is a responsibility you sign up for when purchasing a gun. If you aren’t quite sure how to go about your first cleaning or you feel uncomfortable it is best to seek the teachings and services of a professional. Learning how to properly care for your weapon is half the battle, then sticking to a regular cleaning and maintenance schedule is the other half. If you are an avid gun collector you may already know the importance. What is skin armor? It’s a gun wrap or pistol wrap. These wraps are pieces of high quality vinyl that offer protection and the ability to customize the look of your gun. You may have heard of a car or truck wrap, or seen a decked out and designed food truck in your hood….well those are vinyl wraps. And these vinyl wraps can be done on more than just autos….check out the cooler. Many people, gun owners included, are beginning to realize the additional protective benefits these vinyl wraps offer. Being that gun is a piece of metal, it is susceptible to scratches, dings and knicks. Vinyl can act as a skin armor, protecting the body of your gun. These pieces of films adhere, kinda like a big sticker, to the surface that you are wrapping, in this case a gun. They will last for quite some time and can easily be removed if you no longer want it on there. It seems they are pretty easy to apply, and that’s what we are going to test out ourselves and share with you. From our research there are place that can order and apply these skins yourself. We decided to contact a company out of Texas, Phantom Wrapz. We wanted the low down on vinyl films, as well as someone to walk us thought the process. Although they mainly focus on vehicle wraps, they have several stock vinyls, as well as have been printing out different vinyl skins for us to try out. We want to see the effectiveness while our guns are holstered and how bringing it in and out of the holster wears on the gun, as well as the ease of application and removal. We also want to check out what types of custom colors and designs they can make. The versatility of vinyl film is pretty amazing. We’ve seen many things wrapped. Often times you can wrap things up your self. Autos are a lot larger and require more detail, which is probably why they are several of these shops opening up. Phantom Wrapz wraps tool boxes. Check them out. We will keep you posted on the outcome of our trials with these vinyl wraps. If they prove to be as good as they sound, we will share that with you. They are a few places you can order these skins or wraps online. You can also contact Phantom Wrapz if your in the Dallas Fort Worth area and want someone to wrap your gun…or your truck and tool box, for you. These guys are awesome and have been very helpful in answering a lot of my questions. I chose them because I figured that someone that’s been working in the vinyl industry for the length of time they have will provide me with solid details that I can share on William’s Gun Leather. This post is a few days after the well known Martin Luther King Day. A man that played a very large role in the civil rights movement in the mid 20th century. With the gun control arguments and controversy, Martin Luther King Day is a day the control advocates get loud. They take the message made by a great man and translate into a reason for anti gun laws for their own agenda. While they have their own right for beliefs, their political agenda, and what they want to happen with guns in society, what they need to keep in mind is that promoting peace and change, does not mean one doesn’t believe in the right to bear arms. Guns do not mean just violence and anti peace. Peace doesn’t mean that know one can own a gun. Violence should not occer, but it does, and can and will occur even without a firearm. Martin Luther King himself, in the state of Alabama, applied for the legal right to carry a weapon, a concealed weapon. He was denied this right, but nonetheless he did apply to carry one. A man of peace, powerful leadership, and words that brought about much change, applied for a gun. So not that does not make him un peaceful or ready for violence. SO although the man is no longer alive to speak his mind on the matter, to say that his message meant or means we should have anti gun laws, is just not correct. Making statements that are only made for personal, political or business advancement that do no really hold up with truth, should be considered before spoken. We are all entitled to our freedom- freedom in many forms. I have a dear friend who is just getting into guns. Although he’s a Colorado native, he only recently has taken an interest in guns and hunting. Probably because he’s been working hard his whole life with his company, Patio Splash. He just opened his third hot tub store in Fort Collins, and finally is about to take some time to himself. Check out some of his tubs at patiosplash.com. Now let’s get back to the business. This article is written for him and any newbies out there. It’s a basic overview of the different types of holsters. That way when you get yourself a nice piece of art, you have something to carry it in. 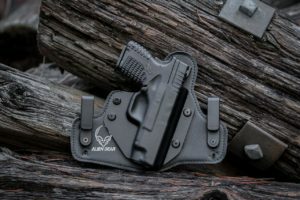 Holsters come in different sizes and can be worn on different areas of the body and can even be carried in a other places other than the body. Holsters are used to offer protection to the gun, and easy access for the gun holder. 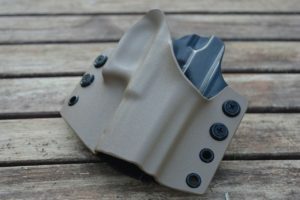 We will cover some of the more popular and practical holsters there are. There are basically four types of holsters. Each one is specific for what the gun will be used for, ex: protection, hunting, etc. What’s the right gun for me?…and I am a woman. More often then not, society tends to think of guns as more of a man carried weapon or firearm. There is much untruth to this. Many woman want to or carry a gun. So what types of guns are recommended for woman? This question depends on a couple of things. First, what will the gun be used for? Most times a gun is carried for protection, or as a form of self defense….which is usually why we carry them and practice shooting them. It is very easy for people to suggest a woman carry a small handgun, but if it is carried for protection let’s make sure it will be capable of doing the job. A small caliber handgun, what one may suggest for a female, just may not do the job and possibly make a situation work if there is an attacker. The gun size is a big part of the decision making process. First of all, if you have to carry a concealed weapon, we must make sure the weapon is concealed and not some awkward, obvious bulge. We suggest two types of guns for a woman, a semi automatic and/or a revolver. Each have there own pros and cons, pluses and minuses. These advantages and disadvantages will have to be weighed out and taken into consideration at an individual level. What we suggest is finding a gun that feels good to you. Make sure that if it in possession for self defense, it is able to do the job. Whether you are a novice or a pro in the gun world, choosing the right gun and learning it is necessary. Don’t get stuck with what someone may suggest simply because your a female. Know why you will own it and it’s main purpose. Learn how to shoot it, how it feels in your hand, and in the way you carry it. We suggest heading out and testing some out. Find a shooting range that offers you the option to try out some of there guns, find a few rentals, and practice. Like anything confidence, practice, and comfort take time and effort to develop. Remember that finding the right holster that carries the gun and you are able to carry is equally important. One thing we say, is learn what’s best for you. Think of gun as a piece of clothing. Make sure it fits well, feels good and is right for the occasion. The invention of the cannon dates back hundreds of years ago. 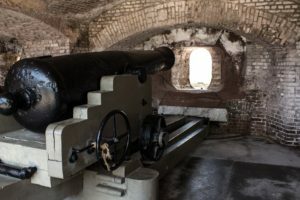 This particular cannon that we show is from Fort Sumter, South Carolina. The cannon was first used in China. It was the first of gunpowder artillery. A cannon is basically a very large, heavy cylinder that projects some type of ammo. The projectiles from a cannon creates serious damage. We thought it would be cool to briefly talk about one of the first style of “guns”. A cannon used gun powder, also invented in China. There are a variety of old guns. Back in the day automatics probably weren’t even thought of. As time has continued on new style guns have emerged. Sometimes if you stop a take a look at what original warfare was, it’s crazy to see how it has changed. I’ve never personally fired a cannon. But I have a variety of guns. What will there be in another 200 years? Interesting thoughts. If you own a firearm, you know that there are many extras or accessories for guns. If you don’t own a gun, you may never think about the extras. Well if you know anyone that loves their firearms, accessories can make great gifts. Father’s Day is around the corner, so we decided to share a little about what “extra” there is out there for guns. Today we will cover Hand Gun 101. What hand guns are, the types of hand guns there are, and some other information pertaining to this type of firearm. As the most popular type of gun and one that most people are familiar with, we decided to dive in on a few details about them. Hand guns are guns that can be held with one hand…hence the name hand gun. They are classified into 5 types. Each class or type of firearm has it’s own unique attributes- how it fires, loading, and the caliber used. Roll with a NEW or OLD Gun? We’ve had several people ask us about whether it’s good idea to purchase a new gun or a used gun. We decided to speak a little on the subject of new vs. used, as far as a gun goes. New is not always better. Of course purchasing a brand new piece is always exciting, but not necessary. As far as cost goes, finding a quality, well taken care of used gun is more cost effective. Not all guns are created equal…so keep that in mind. Birthdays are a great time to celebrate your love for guns or share that love with someone else! Have a friend who has a great gun collection, or simply a single fire arm that they really cherish. Give them something this year for their birthday that really accents their gun like one of our premier leather holsters. If you feel like doing something extra special, take them to the shooting range. The gang here at WGL just spent last Friday at the range with a beloved family member and friend for their 74th birthday. We did it right however and brought all our favorite fire arms to the range in a stretch limousine, brought to you by our friends over at phxlimoservice.com. We frequent the range often, but there is nothing like going to the shooting range in a stretch limo. We highly suggest it for any sort of event, party, or special occasion. Since Arizona gets so dang hot you really get too cool down and spread out in the limo. Not to mention you can have a drink in the limo before and after, which actually might have been the real highlight. Regardless if it’s a birthday or just an opportunity to do something different, the shooting range in a limo is a great chance to play with your guns, wear your leather, and have some fun.